A structured programme just for you! Coaching is a process that’s used to help people identify how to achieve their goals. Coaching helps change happen and it primarily focuses on the here and now. I provide coaching which facilitates your learning. This is because I absolutely believe that my clients always have the answers within them. My role is to help you find those answers, using a structure that’s right for you, supporting you to put them in place and achieve your goal. As a coach, I help you to improve your performance in a specific area; I help you to learn. This then allows me to help you make the changes you want to make. It’s really important to understand that not everyone who visits a coach is there to ‘fix’ something. It may be to achieve a new goal, to try something different or to do something even better. Everyone who visits me is there to make some type of change in their life. So, my coaching provides you with a structured approach to achieve your goals. It’s a programme that I adapt to your specific needs. This provides the structure and support for you to achieve your own goal quicker than you would on your own. Coaching is all about enabling you to develop your own capabilities and then enabling you to maximise your potential. Coaching draws on a range of disciplines such as business science, philosophy, positive psychology, education science, neuroscience and sports psychology. It works by helping you to quieten your inner dialogue while you set out your plan to achieve your goal. Effective coaching distracts the voice of the inner critic so that I’m able to help you identify the resources and skills that you decide you need to reach your goal. An essential part of the coaching process is to help people learn how to silence that inner voice and allow their subconscious or instincts to take over. This may be done by distracting the inner voice or perhaps by exploring it in depth to remove the fear. The coaching itself is framed around a ‘conversation’ with your me. I use strong listening skills, effective questions and the appropriate deployment of a range of concepts or techniques. I work to raise your awareness, widen your perspective and increase your understanding of how you are working towards the changes you want to make. It’s important to remember that this is in a safe and trusting environment. This way, you’re able to freely explore your situation while I provide supporting challenge, feedback as well as stimulating your thinking process. Oh, and cake! 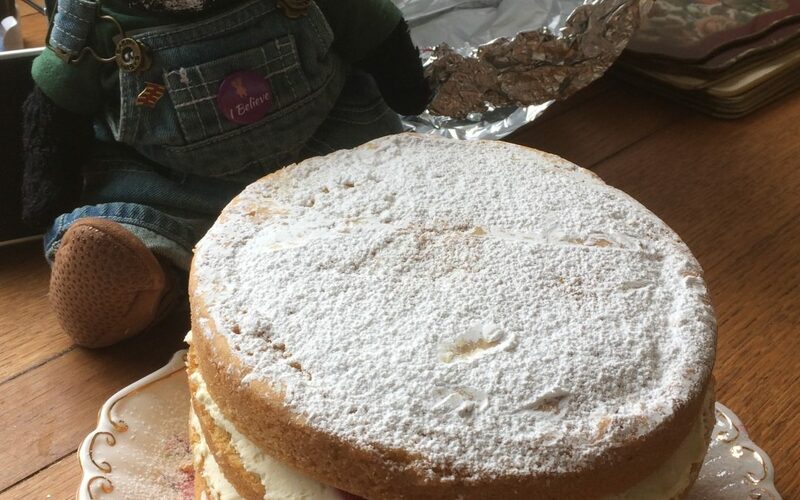 There is often home-made cake! This is over to you really. You don’t get homework; what you do get is the opportunity to carry out specific actions in the right way for you. These will be actions that you’ve identified as being critical to achieving your goal. It may be that you’ve identified a behaviour that you want to change, so this is your opportunity to take action. We review your progress at our next meeting, celebrating any successes and helping you resolve any particular difficulties you encountered. How long do I need coaching? How many sessions do I need? I work to provide you with a programme that is bespoke to your needs. It’s important to remember that I don’t have a magic wand (if only teehee) and changes don’t always happen overnight. It also depends on how much effort and time you’re able to devote to making and consolidating your changes or actions. Again, not everyone visits me to ‘fix’ something; some gain benefit from a regular visit with a coach as part of their ongoing development. It really depends on the type of issues you bring and how you want to approach this aspect of your self-development. The length of time between meetings is quite a personal preference. We would agree all of this at our initial session and review it regularly to make sure it’s still meeting your needs. When you’re fully engaged and involved in this process, you begin to notice changes after just a couple of sessions. Perhaps becoming aware that you’re acquiring a better understanding and insight into your own situation. You may also being to find a better insight as the way forward to achieve your goal. You may well also find that these new understandings are having a positive impact on a number of different areas of your life. Of course, do remember that you aren’t abandoned between sessions, email and text support is also available.